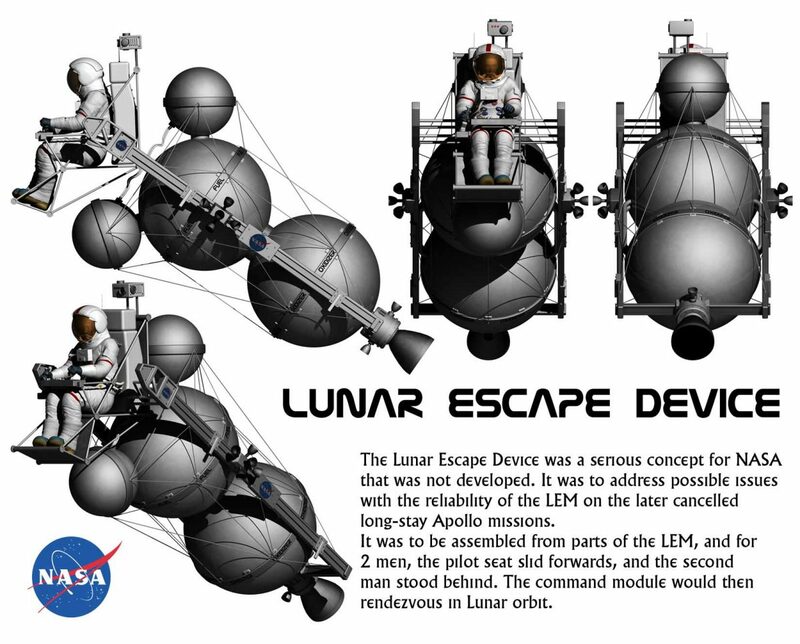 This is a design that was considered for the (much) later Long Stay Apollo missions, where the LEM would be on the Moon for a long time. And there were concerns about reliability. So they came up with a light weight design that would be a few bits strapped together, to get the astronauts up into munar orbit, where the command module might be able to rendezvous with them. But it would not have been needed for the cancelled missions, and the ones beyond that were not studied in any great detail, so the design was not taken any further.